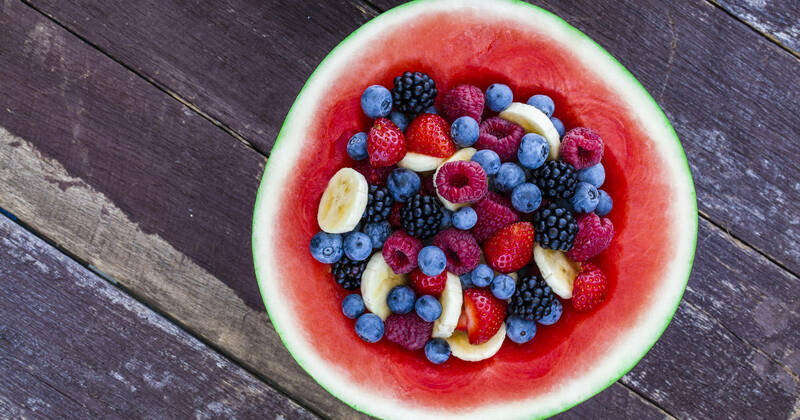 Diet is essential for maintaining optimum health, but what food should you be eating this summer? These superfoods are packed with antioxidants, vitamins, minerals and other nutrients that can help to protect you from disease and enjoy life to the fullest. Some of these even offer nutrients that can help protect your skin from the Sun. Kiwifruit are a good source of vitamins C, E, potassium, polyphenols, fiber and some other nutrients that will help to protect you from cardiovascular disease, lower your blood pressure, improve your mood and sleep patterns, protect your eye health and more. This small, green fruit is full of goodness but can also unfortunately cause allergic reactions in some people, enjoy it if you can. Asparagus is packed with antioxidants, sterols, saponins, and flavonoids. The health benefits of asparagus include being anticarcinogenic, improving wound healing, encouraging insulin production in diabetes, lowering cholesterol and acting as an anti-inflammatory and more. Lemons may be bitter but their health benefits are sweet. Powerful antioxidants, with a number of essential vitamins, they also contain other substances that impact our health such as lemonoids, Quercetin, and Hesperidin. They have antioxidant, anti-inflammatory and anti-microbial properties as well as helping to lower cholesterol, protect from cancer and protect the health of our brain.